Today, I juxtapose two powerful excerpts on power – on politics and development. But they are also comments about history and the conditions of power within oral history interviews (for readings, see below). Mugabe does not drink water from this dam. (In fact, South Africans plan to drink Mugabe’s water.) In America, I don’t drink this water. But I do when I live in South Africa, in the city, in whatever granny flat I call home. The dam is part of the Umgeni Water system, the state-owned provider for potable water in KwaZulu-Natal, and thus, the likelihood that I indeed drink the dam’s water. This stands in contrast to how our interlocutor consumes water. Not all homes in this peri-urban/peri-rural region are hooked into the municipal water system. Even for homes with taps in their yard, the infrastructure is dated and not regularly maintained–they may or may not work. Most families push wheelbarrows filled with water buckets from the municipal truck that delivers potable water. Additionally, the dam is fenced to keep the locals out unless they pay the fee to enter the dam’s recreational reserve. In this complaint, he not only points out his lack of access to the dam. He also reminds me of the power dynamics–of race, of class, and of nationality–in our interview. 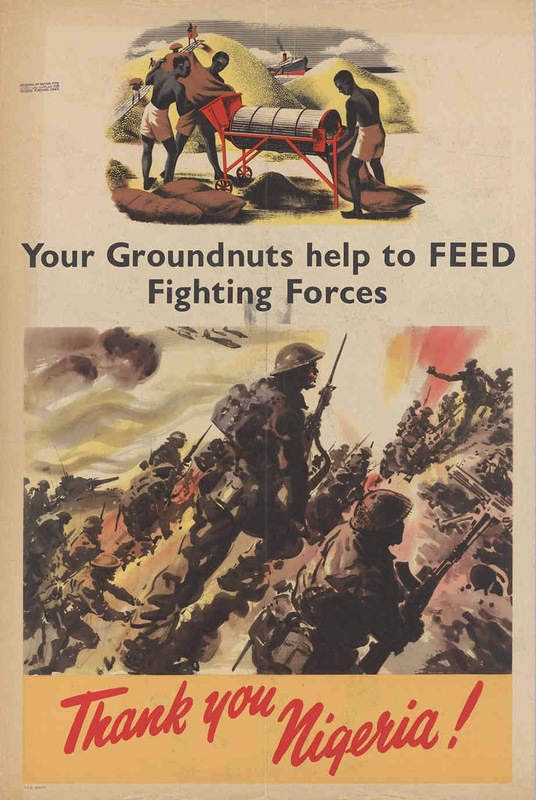 *Everyone who participated in the oral history project gave oral or written consent for use of their interviews in publications and eventual archival deposit. Mbilinyi, Marjorie. “‘I’d Have Been a Man’: Politics and the Labor Process in Producing Personal Narratives.” in Interpreting Women’s Lives: Feminist Theory and Personal Narratives. Bloomington: Indiana University Press (1989). Tonkin, Elizabeth. Narrating Our Pasts: The Social Construction of Oral History. Camrbidge: Cambridge University Press (1992). Categories: Oral History | Tags: Table Mountain | Permalink. I haven’t blogged in a year. Oops. I’m on leave (yay!) and spending a lot of time revisiting my oral history interviews as part of manuscript revisions. Reading, listening again produces a range of emotions and thoughts that won’t make it into any book or article. They deserve to be shared and despite my best efforts at creativity are too much for Twitter. I’ve decided to share them here periodically. * Stay tuned, first up tomorrow. 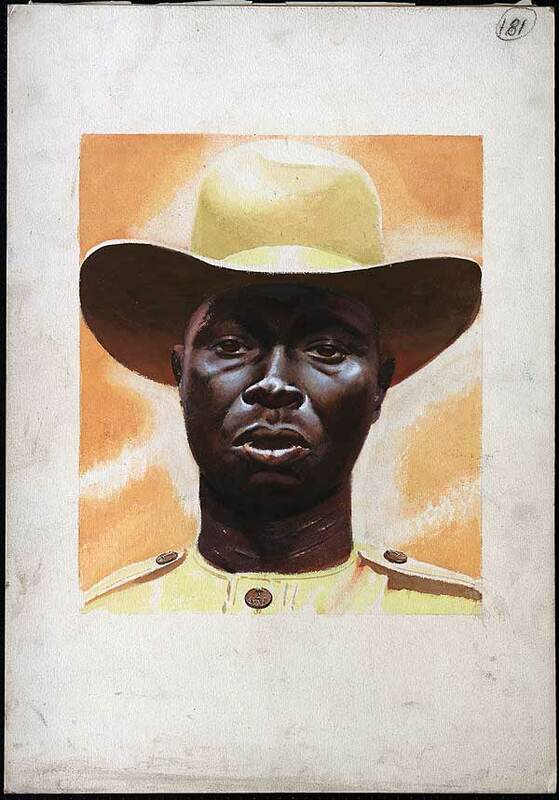 BBC World Service three-part series “Africa’s Forgotten Soldiers” can be listened to by signing up for the radio archive. 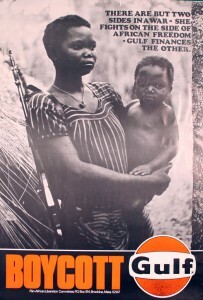 My students listened to Afripod Episode 81: The Nigerian homefront in WWII. Categories: Uncategorized | Tags: Digital Pedagogy, Digital Sources, Teaching | Permalink. Today, South Africa announced the parole decisions for three apartheid-era political assassins: Clive Derby-Lewis, Eugene de Kock and Ferdi Barnard. Justice and Correctional Services Minister Michael Masuta announced that de Kock would be released. Despite the medical board‘s recommendation, the state denied Derby-Lewis (the man behind Chris Hani‘s murder) parole. The decision on Ferdi Bernard has been reserved. These decisions open old wounds and debate about more than just the fate of these assassins. My thoughts on Eugene de Kock's release? Let me borrow from another evil, Jimmy Kruger, "It leaves me cold." What is the meaning on insisting on punishing individuals like the De Kock when ALL whites benefited from Apartheid oppression of blacks? A boulevard named after de Klerk and Eugene de Kock parole in the same week. Apartheid's skeletons coming out of the clauset. The mere mention of Eugene de Kock's name still makes me as fearful today as it did when I was growing up in Apartheid RSA. The decisions are heated, certainly because of the brutality of men in question. De Kock is a veteran of the Rhodesian war and the Koevoet Police Counter-Insurgency Unit in Namibia. He took over as Dirk Coetzee’s successor at Vlakplaas. 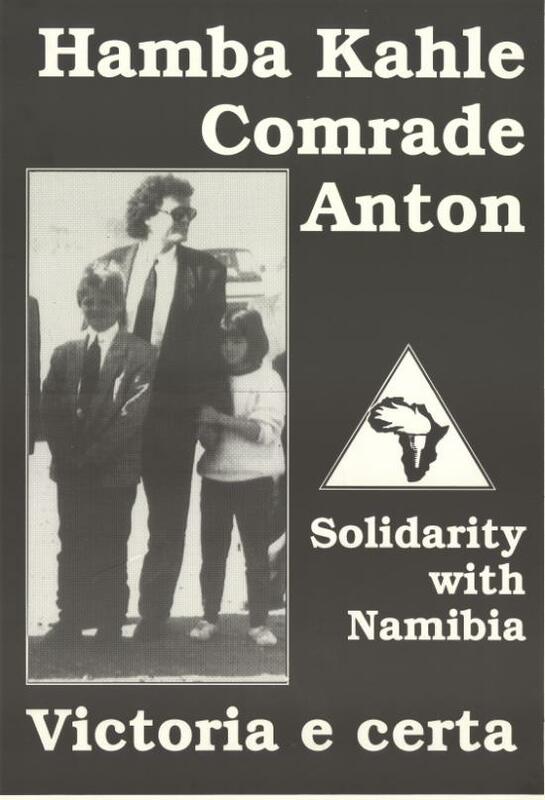 Among De Kock’s crimes against humanity, he orchestrated the bombing of COSATU and Khotso Houses and the murder of the Cradock Four. Conservative Party MP Derby-Lewis, now 78 and stricken with lung cancer, conspired with Janusz Walus to murder Hani and provided the weapon. 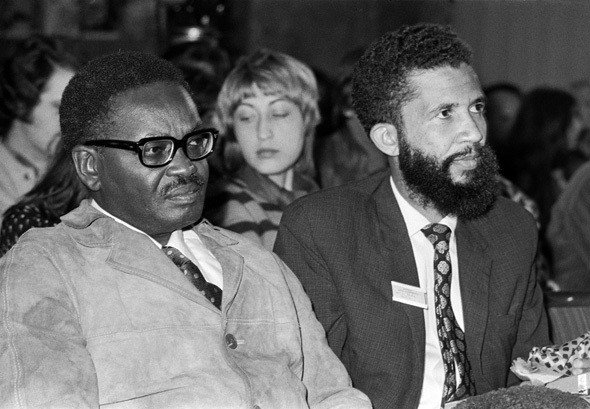 Hani was, and remains, a revered figure in South Africa for his principles and leadership in the SACP and MK. But this debate is about more than individuals and their crimes. As T.O. Molefe pointed out six months ago, the “debate is especially frenzied because the racial hierarchy these men were defending when they committed their barbarous acts is still largely intact, even if the lives of many black people have improved since 1994.” Masuta alleges de Kock’s release is “in the interests of nation-building and reconciliation.” Tutu hopes it will contribute to such. 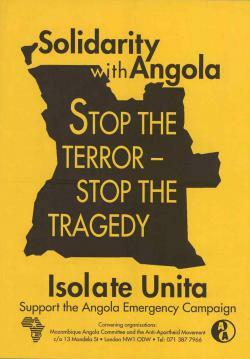 But can reconciliation be achieved when little has changed? Few high-ranking apartheid officials participated in the TRC and even fewer were tried in court. In his TRC testimonies and interviews with Pumla Gobodo-Madikizela, a TRC commissioner, De Kock declared himself the scapegoat for the apartheid officials who previously sought him out as a counterinsurgency strategist. Ronald Suresh Roberts points out that South African business beneficiaries have not been held accountable either. The release of de Kock is about more than just his immediate victims. It’s also about every South African who experienced apartheid as well as those who continue to live with the legacies of apartheid. Research: Amnesty applications of de Kock, Derby-Lewis and others are available online. Listen: de Kock’s friend Professor Piet Croucamp spoke with the SABC about de Kock’s belief that F.W. de Klerk belonged in jail. (He’s right. Jabulani Sithole’s research puts de Klerk, who has always maintained his “clean hands,” at a meeting that approved the fostering of political violence.) The interview has perfect timing, as Cape Town plans to rename Table Bay Boulevard after the last apartheid president. Watch: SABC’s “Truth Commission: Special Report Episode 61” on the amnesty application of Hani’s assassin, Janusz Walus, and the assassination’s mastermind, Clive Derby Lewis. Categories: Uncategorized | Tags: CurrentEvents | Permalink. This is a re-post from my #DayofDH2014 page (April 8, 2014). Some portion of my Tuesday is usually devoted to grading and lecture prep for the rest of the week. Tomorrow the Modern Africa History course will cover decolonization in Portuguese Africa, so I want to blog about some of the great online digital sources and tools I use in this lecture. 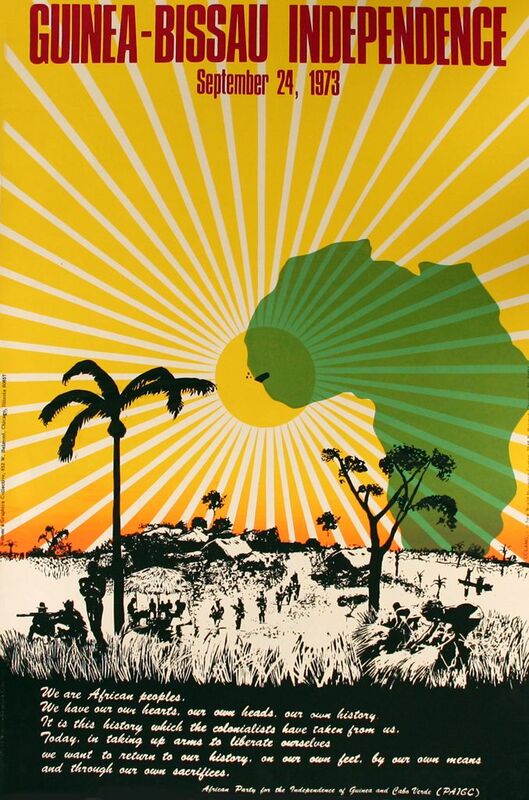 The African Activist Archive (hosted by our #DayofDH2014 sponsor, MATRIX) has an awesome collection of posters on Angola and Guinea Bissau. 1) The role of international activists, here a U.S. campaign to boycott Gulf. 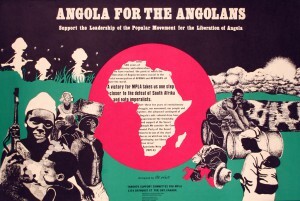 Portugal received significant income from Gulf’s exploitation of Angolan oil that helped pay for its military activities in Angola against the struggle for independence. 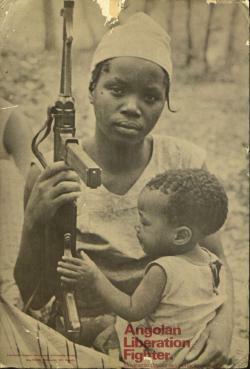 2) The role of women in the struggle for independence. 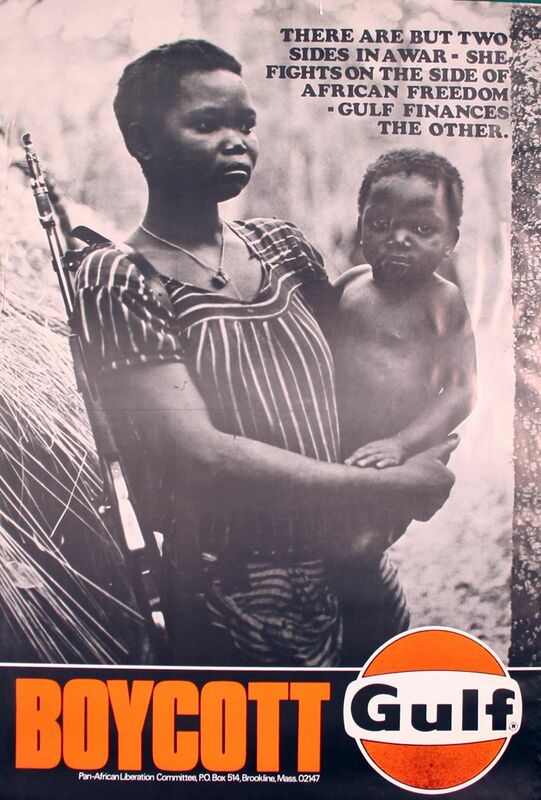 Both the poster above and the items below portray female freedom fighters, allowing us to examine women at war. But students also discuss the decision to feature mothers and their children in these activist materials. Chicago, Illinois, United States. No date, 1972? 3) The context of the Cold War. 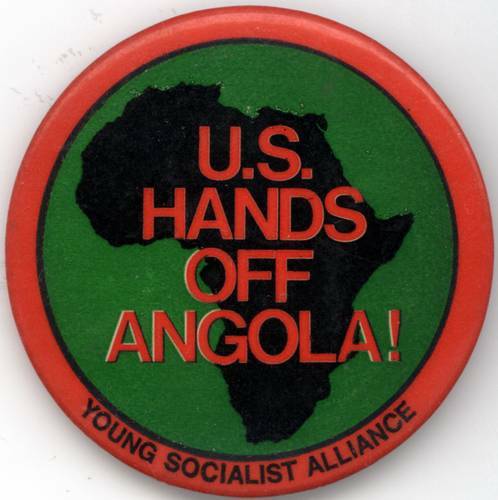 Both the button and poster below provide entry into the discussion of U.S. support for UNITA in one of the Cold War proxy wars. 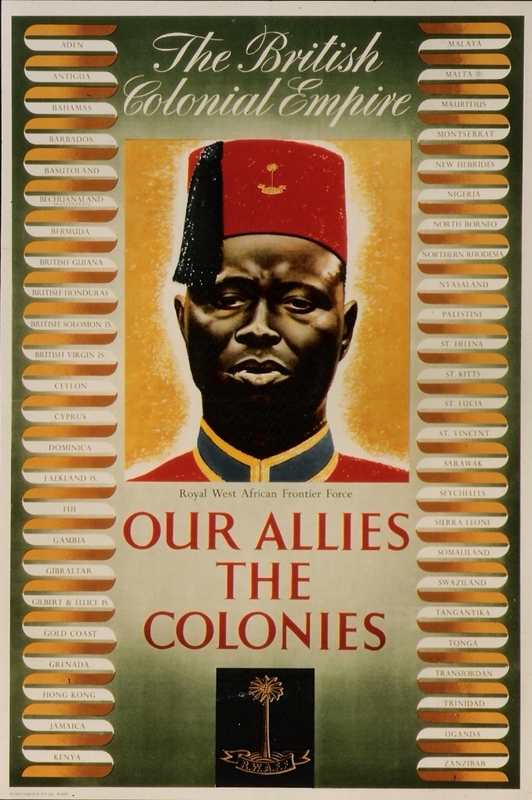 Finally, I use the Schomberg Center for Research in Black Culture’s Africana Age page for photographs of important leaders to accompany our discussion. Agostinho Neto. UN photo from the Schomberg Center. What other great digital sources do you use in lecture? The South African author, Nobel laureate, anti-apartheid and anti-secrecy activist Nadine Gordimer has died at the age of ninety. 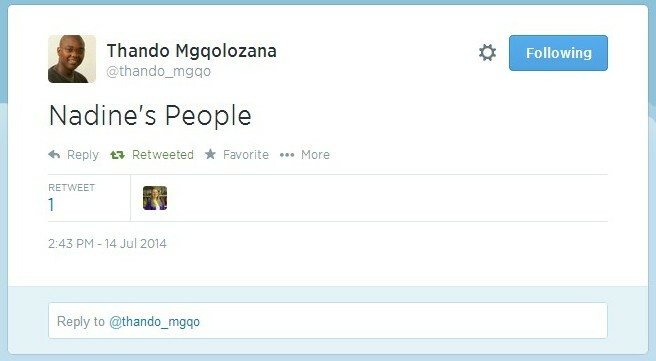 Novelist Thando Mgqolozana tweeted this morning, “Nadine’s People,” a play on one of her most popular novels, July’s People. I am one of Nadine’s People. I frequently get asked, “Why South Africa?” Why did I choose to study South Africa? Because I read Nadine Gordimer in high school. Somewhere, someone has my copy of July’s People. Return it, please! I was a senior at a small town school. There were four of us in my AP English class. For our final paper, the teacher put four novels on the library table and we each chose. I just queried one of my classmates with whom I still keep in contact. She cannot remember what she chose. Maybe something Russian, she thought? But I remember my part clearly. 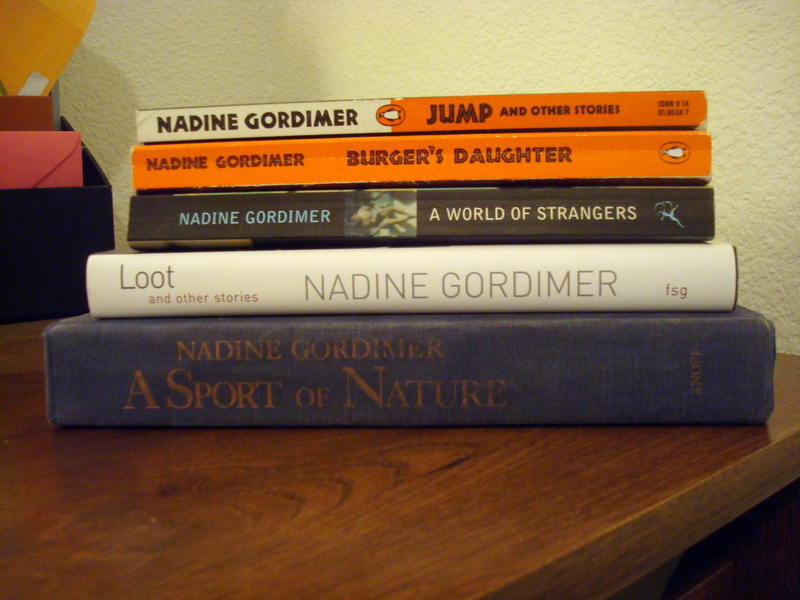 I picked up Nadine Gordimer’s A Sport of Nature. I’m sure I’d be embarrassed now to read the paper I wrote then. But I am not being dramatic when I say that this assignment changed my life. It lead me to read more, first to those most available in small town, America: Olive Schreiner, Doris Lessing, Alan Paton, Mandela’s autobiography and Tutu’s treatise on reconciliation. I’d later find Sindiwe Magona, Zakes Mda, Richard Rive, Alex La Guma. 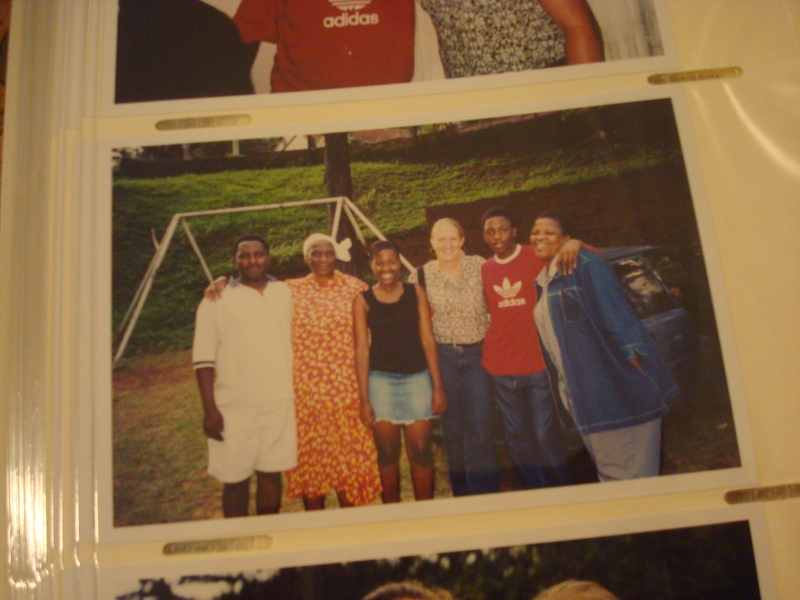 It let me to study abroad in Durban during my junior year of college, where I studied isiZulu and lived with an isiZulu-speaking family. It lead me to graduate school, research, and teaching. One reviewer suggested A Sport of Nature marked how Gordimer “has evolved, adapted, triumphantly come of age…” Gordimer’s evolution, adaptation, and coming of age certainly sparked mine. 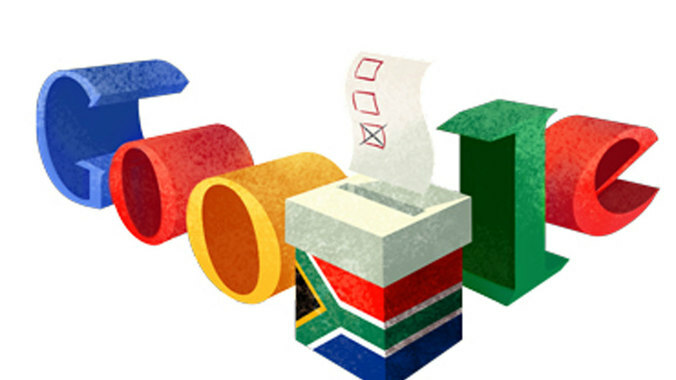 April 27 marked the 20th anniversary of South Africa’s first democratic election, which South Africans celebrate annually as Freedom Day. 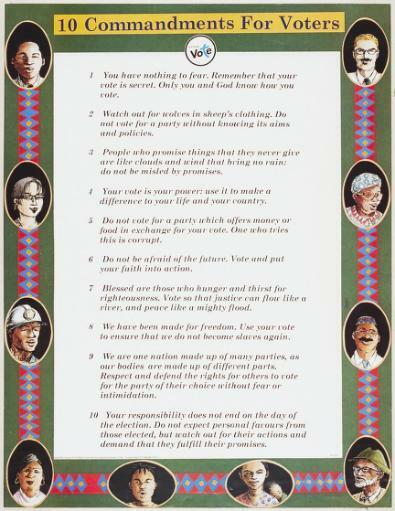 To learn more about the end of apartheid and South Africa’s 1994 elections, visit South African History Online. 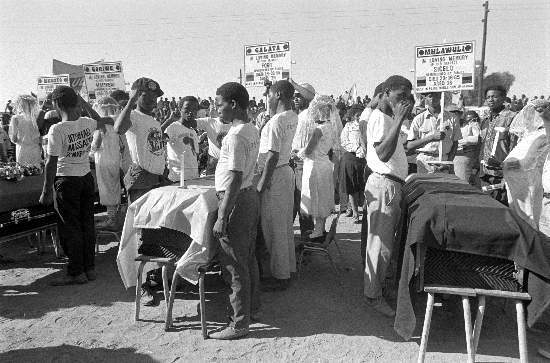 They’ve got a timeline of elections and entries on most of South Africa’s historical elections. 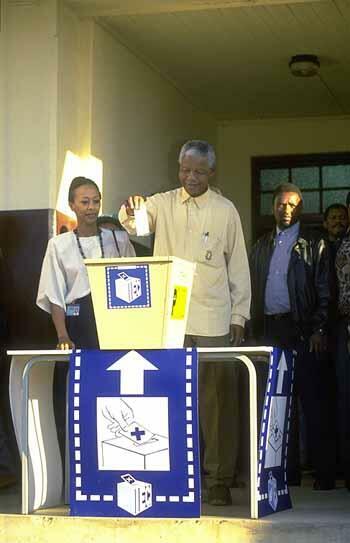 The Overcoming Apartheid site also has features a lesson on the end of apartheid and multimedia on the elections, such as this image of Madiba casting his first vote. 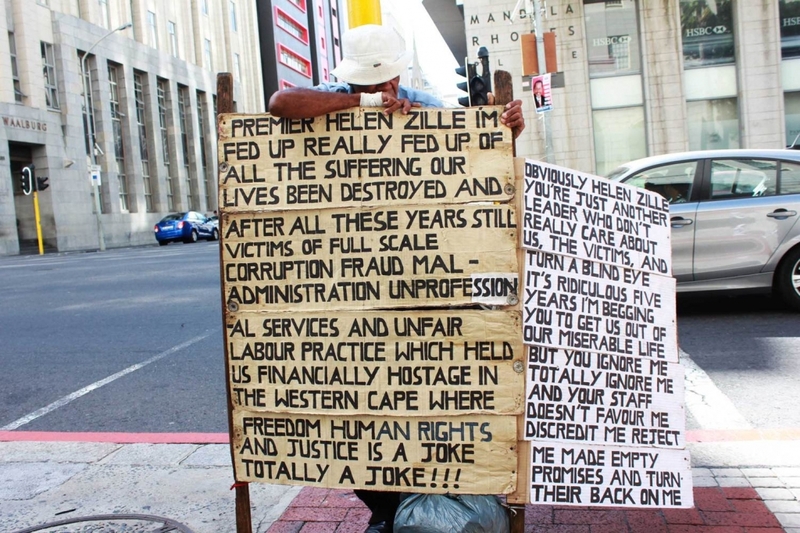 For a longer read, check out the gripping account of Peter Harris on the challenges faced by South Africa’s Independent Electoral Commission in Birth. 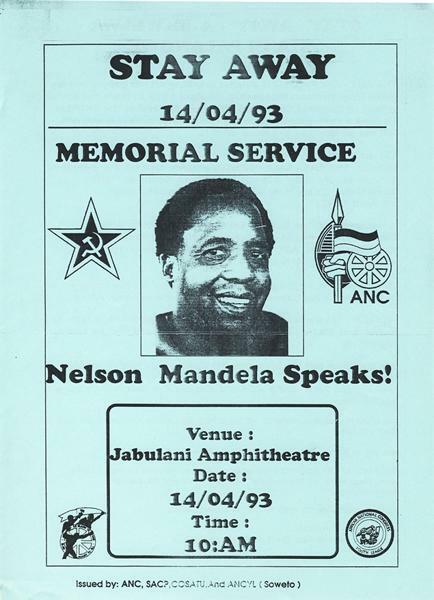 The online ANC Archive also has great images of the ANC election campaign and Mandela’s inauguration. 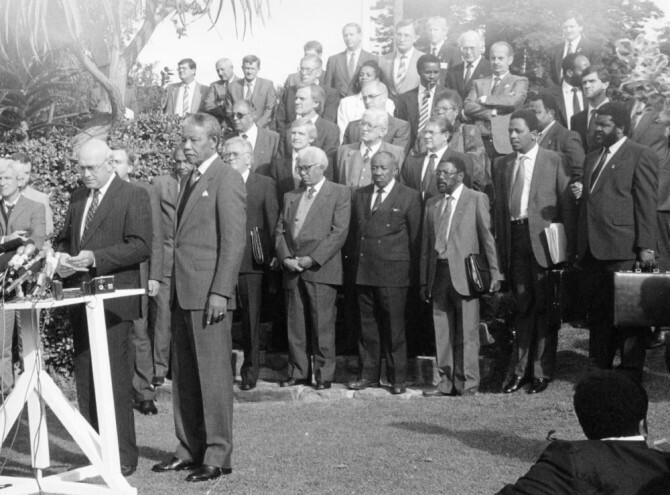 The Mandela Centre for Memory has an online exhibit on Mandela’s term as president. 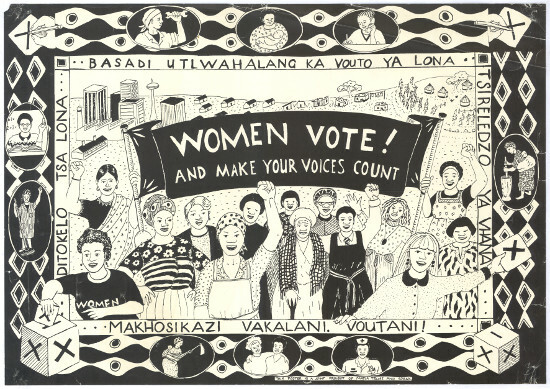 South African History Archive has a collection of 1994 election posters and African Activist has 1994 South African Election Watch Campaign Updates. Also be sure to check out the great images of Ra’eesa Pather (below) and reflections on the status of the Freedom Charter in the new South Africa from South Africa Votes 2014. Today they’ve got up a live blog of their conversations with voters. Africa is a Country has several posts on 20 Years of Freedom and today Sean Jacobs considered the growing criticism of the ANC leadership.